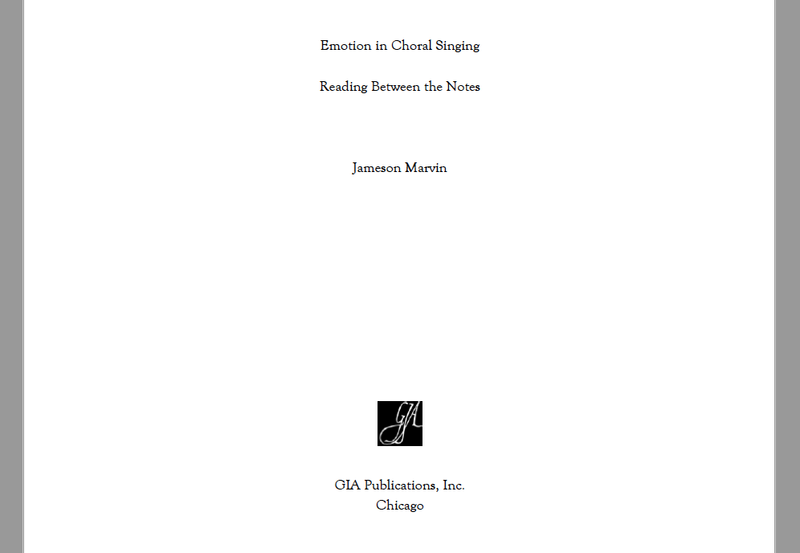 Our esteemed Doctor Marvin wanted us to let his former singers know about the upcoming release of his new book, Emotion in Choral Singing: Reading Between the Notes, published by GIA Publishers. To see the table of contents for the book as well as a few other topics taken from the final draft CLICK ON THE IMAGE BELOW. Perhaps something to put on your own personal holiday wish list? We are looking to schedule a Cambridge event sometime this winter at which Jim talks about his book and what he’s been doing since retiring from Harvard in 2010. Stay tuned for further information on that.